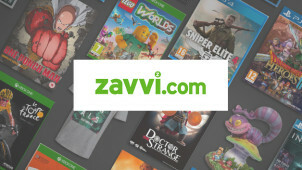 Exclusive 10% Off Gifts at Zavvi - Ends Sunday! When you actually think about how long we spend looking at a screen every day, it can get a little intimidating; but that’s why we should use our screen time for fun! Our gizmos and gadgets are an important part of our life now, letting us keep up to date with the world, read our favourite books, play our favourite games and do just about everything from the palm of our hand. That’s why a gadget discount can be so powerful, and why knocking some pounds off your electronics spend can make a big difference down the line! And where better to start than with the king of our gadgets – our mobile phones. A modern handset is nothing short of magical, offering instant messaging, internet access, a quality camera, video, gaming system and just about anything else you’d need in one little metal chunk of wizardry. Whether for business of for fun, cutting the cost of your handsets (and getting a great contract and deal alongside) can save huge amounts of money as the years roll by – and if you plan properly, you can get even the high end models for a lot less than you thought.